Experience with technologies, including pharmaceutical compositions, over the counter fertility and pregnancy tests, nonwovens, herbicides, food science, contrast media, optical filters, anti-icing coatings, water-repellant compounds and compositions, asphalt compositions, polymeric films and coatings, polyimide resin systems and prepegs, and carbon-nanotube-reinforced acrylonitrile precursors. Experience with chemical processes, methods of synthesis, textiles, fly ash chemistry, coaxial cables, and lead-acid batteries. Has worked with a variety of medical devices, including perfusion products, cardiac ablation devices, endoscopic vessel harvesting systems, oxygenators, arterial blood pumps, cadioplegia systems, arterial filters, spinal implants, spinal rod systems, and minimally invasive retractor systems for spinal surgery. Served as a senior associate in the chemical and pharmaceutical patent prosecution group of a national AmLaw 50 firm where he drafted and prosecuted applications related to various technologies, drafted non-infringement opinions and invalidity opinions, performed due diligence of patent portfolios related to various medical devices, assisted in the analysis of patent portfolios, and provided general litigation support in pharmaceutical-based litigations. Has worked in the bulk pharmaceutical division of Mallinckrodt, Inc., a multi-billion dollar global pharmaceutical company, as a chemist and process engineer where he established a laboratory to perform various analytical methods to aid in process improvements and assisted research and development in identifying and implementing revised process parameters. Previous experience as a process engineer for Archer Daniels Midland Co., an American global food-processing and commodities-trading corporation. John is a Partner in the firm's Charlotte office where he practices in the areas of intellectual property, patents, and technology law. He works with clients to protect and exploit their intellectual property assets, whether that concerns securing patents, facing disputes over infringement or trade secrets, or being able to speak the technical language of clients in diverse industries. 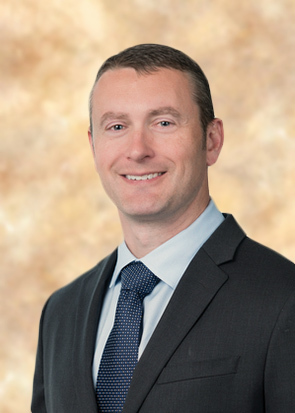 John has experience drafting non-infringement and invalidity opinions, managing patent portfolios, performing due diligence of patent portfolios, and providing general litigation support. Prior to becoming an attorney, John served as a process engineer for Archer Daniels Midland Co., an American global food-processing and commodities-trading corporation. He has also worked as a chemist and process engineer in the bulk pharmaceutical division of Mallinckrodt, Inc., a multi-billion dollar global pharmaceutical company.